Test your phone and Internet/webcam connection! 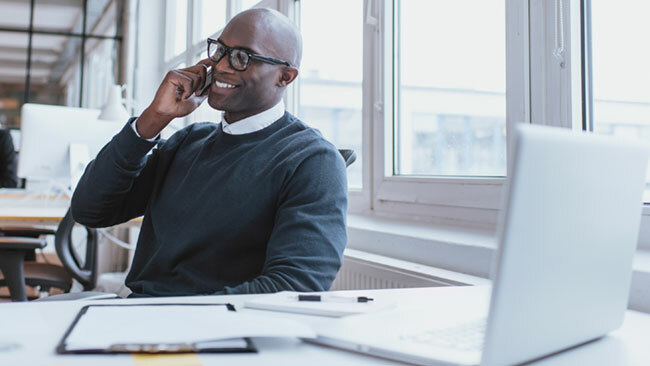 Make sure both the technology and place where you have decided to speak with the potential employer don’t have call quality or drop off issues, and know how loud your voice sounds over the phone. Use an external microphone where possible to avoid echoes and feedback in the interviewer’s ear (and yours). Call several friends and test your phone, internet or headset quality in multiple situations. Avoid loud spaces – like the outdoors, coffee shops, restaurants, malls, etc., as the background noise will be too distracting for you and the interviewer(s). Also, when interviewing at home or in a car, please turn OFF the television or radio, make sure the dogs aren’t barking, children talking loudly, or any other distractions. Try to interview away from people and pets in a room with a closed door. Ensure the lighting is appropriate so the interviewers can see you clearly but the light isn’t too bright on your face, and adjust the angle of the webcam or phone to give you the most complimentary look. Be sure to straighten up the area that displays in the background for a good presentation. Make certain you have all necessary documents in front of you, including your resume, cover letter, job description, questions for the interviewer(s), research on the company/organization, references and reference letters, and even a calendar in anticipation of another interview. Dress just like you would for an in-person interview: professionally. Remember, they can see you! 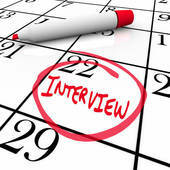 Be ready early, know the exact time of the interview, and note any time zone differences. Do not watch yourself in the monitor. Look directly at the camera numerous times during the interview and give the interviewer(s) the feeling you are looking directly at them. NO checking email, watching your Facebook or Twitter feed, texting, playing games, or surfing the net. 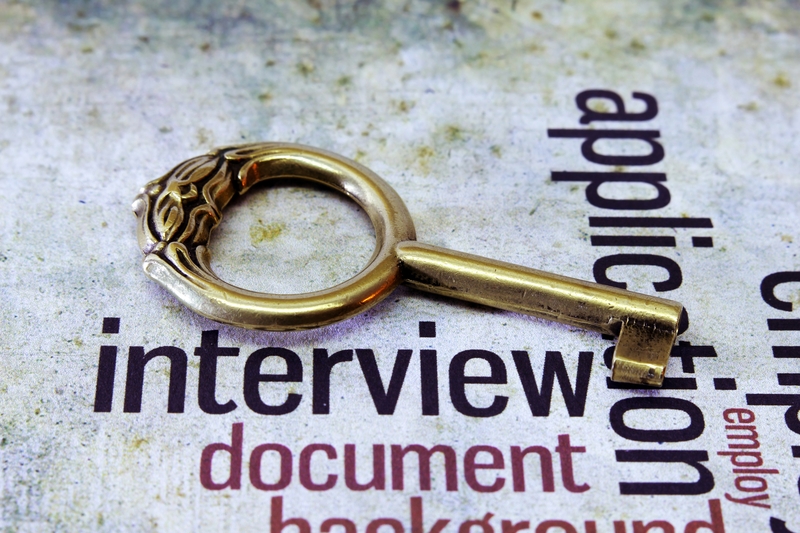 You must give your full attention to the interview and interviewer. Take your notes by hand, not on a keyboard, to avoid distracting noise in the background. Pay close attention to the volume of your voice throughout the interview, and avoid too many nervous gestures (biting nails, playing with hair, licking your lips repeatedly, tapping or clicking pens, twirling your chair, bouncing a leg or moving your feet nervously, jingle jangle jewelry, nodding your head or saying uh-huh to everything the interviewer says, etc.). People often think of phone interviews as more casual, but the facial expressions, dress, demeanor, and use of too many ums, likes, and you knows are just as problematic here as in person. Have a glass of water with you, as you will get nervous and your mouth dry. SMILE!!! 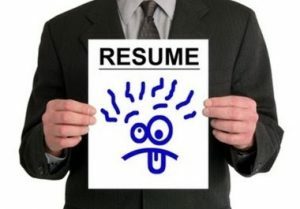 Interviewers want to hire happy, confident people, not grumps! Hoping these tips help you to feel more comfortable with webcam and digital interviews! Daily I will admit shock at the posts I see on Twitter, Facebook, Google+ and other social media. This doesn’t even include blogs, articles (posted remarks after those blogs and articles), and comment sites (like “who called me” for 1-800 #’s). Somehow the Internet has become a cacophony of voices wanting to list each and every complaint they have publicly, and doing so with inappropriate and vulgar language, verbal bullying, racist slurs, misspellings, misused words, truly uniformed statements, and just overall nastiness. 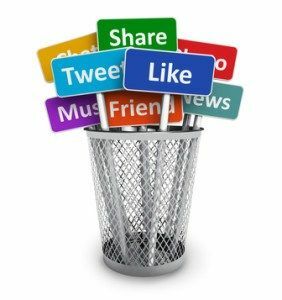 I regularly tell my clients, social media connections and seminar/workshop participants the following: Just because you have an opinion doesn’t mean you need to share it, particularly online. Don’t get me wrong, I’ve certainly cussed, misspelled a word here and there, and have been unhappy about something on occasion resulting in a complaint, but I avoid the sharing of all that information online. If there is an issue, I try to go direct to the source, offline, and if, when you get right down to it the subject isn’t that important, or really isn’t going to make a difference to talk about it, I rarely say anything. I haven’t always been this way. As a police officer’s daughter who was taught you don’t have to put up with everything that comes your way, a staunch believer in right and wrong, and a Type A personality, I can easily walk all over someone verbally. But to what end? In my early 20’s I started to realize, as most do, I wasn’t the center of the universe and people’s feelings, how I acted, and what I said really did matter. Before the Internet allowed the quick and public exchange of insults, slurs, videos, feelings, and every personal detail anyone wanted to read, individuals would often avoid excessive inflammatory statements and extreme amounts of complaint. Typically only family and friends received these opinions and complaints, or a person submitted a letter to the editor, and there was often a governor as to what was and wasn’t appropriate! The over-sharing environment of the Internet has unfortunately created a culture that whatever you want to say is okay. This simply isn’t true, especially when it comes to your job search and career. What you say matters!!! You are not anonymous on the computer, ever. Put that comment or video on the Internet, and it never goes away. 20 years from now search results could find a salacious comment you made or that video from when you were so drunk at the party you passed out, and so could a potential or current employer. I get it, sometimes you are looking at a remark a person made and you think – wow, you’re an idiot, but do you really need to say it, particularly online? Does cussing, using racial slurs or arguing empower you or feed your ego? Does complaining about everything that upsets you or sharing every aspect of your personal life online offer a cathartic release or help you to avoid confronting the issues in your life? No! It only provides embarrassment years later when read and can keep you or your family and friend connections from getting a job. Indeed your inappropriate diatribes can actually prevent others you are connected to on social media (or that link to you that somehow comes up in a Google or Bing search by an HR Manager) from getting a job. Still think it’s all harmless? Clients frequently ask me if they should unfriend a family or friend connection on social media who makes occasional (or regular) overly-personal, racist, outlandish, profanity-laced remarks, which my client doesn’t agree with, but they are linked to that person out of a feeling of obligation and don’t know what to do. I say emphatically yes, and do it immediately. I am not trying to start a family or friend fight, I am trying to preserve your job search and career. This person has no understanding or concern about what their comments might do to others they are connected to, they just want to comment. Yes, you could say that this blog post is a complaint. Notice the difference though in intent – I am “cautioning” job seekers about how the online culture of complaint can ruin their job search and career, with examples and specifics, not judging you because of a post online I disagree with personally. A recent study cited nearly 10% of recent college graduates lost a potential job because of a social media post. Those are only the people who were informed of this fact. Think about the people that weren’t considered for a job that never knew it was due to their social media or online behavior. Most companies will not tell you the reason you were not hired or considered for a position these days, so could the number be more like 40-50%. What about 30, 40, and 50+ year olds, are they feeling these same affects though perhaps in lower numbers. Remember, it’s not just what you say and do online it’s what your connections say and do. Freedom of speech comes with responsibility whether you are 15 or 55 years old, and breeches of restraint can result in loss of a job (yours or a network connections’), or even a lawsuit. I advise my clients to think of the Golden Rule when posting anything in an online environment. So to quote the movie Bambi – if you don’t have anything nice to say, don’t say it at all (particularly online)! Clients regularly ask that I coach them through various interview questions, and one of the most requested is “Tell Me about Yourself.” I definitely understand why this question creates so much anxiety on the interviewee’s part, mainly because they have no idea what the interviewer really wants from them. 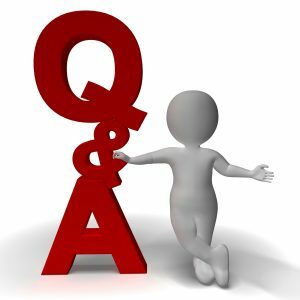 Here is how I coach my clients, helping them to develop an answer prior to the interview with a bit of background but also pre-answering a few potential questions that make the response more complete. 1) Keep the answer to between one and two minutes, not much more. While I don’t want my clients to just give the 10-second recitation on a couple of items from their resume and then stop (that is way too short of an answer), I also want them to avoid the 20 minute dissertation inclusive of oversharing. While it might be interesting that you and your family moved from Detroit to Indianapolis when you were two-years old, this is not the time to relate that little tidbit along with an extended story. 2) Offer up the best of the best from your resume/ work experience, encompassing credentials/certifications/licensing, education, achievements, awards, major presentations, and important documentation developed. Be sure to keep these relevant to the job for which you are interviewing, and keep the list short. Books and magazines you read (mention two or three). These should be business-related, motivational (Stephen Covey, Dr. Wayne Dyer, Brian Tracy), and depending upon the appropriateness of the specific subject matter, history-related or autobiographical. If your main reading material is science fiction, romance, religious or political, although it may be interesting, refrain from sharing for obvious reasons. Hobbies (again, just two or three). Let these be undertakings that show you physically or mentally active, such as community involvement, chess, gardening, working out, running, walking, weight lifting, etc. Spectator sports are fine too, though being active in something shows someone whose healthcare costs will be low (always a benefit). Avoid most collecting activities as their appropriateness is often in the eye of the beholder, for instance (I use this in my seminars for a bit of humor), if you like to collect Nazi memorabilia, twist ties and cigarette butts, let that be your little secret. I collect angels, but unless that interviewer’s office is plastered with pictures and figurines of angels, it would be chancy to disclose. Why are you seeking a new position? Tell them if you were downsized or perhaps purposely left your last job. Also, if it is a career transition, offer a brief explanation as to why. The only caveat to this concerns being fired outright – and you will need to choose whether to address it now in passing or deal with it later in the interview. What motivates you to stay in your current profession? Tell them why you love your current career field or why you enjoy and selected the field you are transitioning into – and why you chose now to do it. Why did you choose to apply to this particular organization? Do your homework and research the organization. 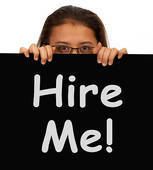 Most jobseekers idea of company research is going to the home page of their website and clicking on the “careers” tab. I encourage you to truly find out as much as you can about the organization, including what they sell (product, service or both), who they sell it to, their financial performance in the past few years, how many employees they have (local, nationwide, even globally), and any interesting recent news (Google them). Now, before they ever ask you what you know about their company, you have given them a complete, yet brief answer. If you use this “formula” to prepare your answer, then it will be complete, interesting, and provide the interviewer(s) some great information about who you are and why you are in that interview seat!